We happened to learn about Storyline as an approach to teaching at a Comenius conference in November 2012. Thus knowing of the possibility to apply for an Erasmus+ grant we did so. Since our school is focusing on teaching heterogeneous classes including children with special needs who need assistance this method seemed to be the right way for us. Luckily enough we acquired the grant and got the chance to attend three Storyline courses taking place right in the country it was born in – Scotland. In the summer of 2014 we set off for Glasgow to spend there one week studying, experiencing and, as we could later see, having fun and enjoying the principles of the Storyline. The course was focused on teaching English as a second language to children at elementary schools. The topic was Capital Tours. Gisela Ehlers, Hannelore Tait, Steve Bell and Marion Sheldon – our both professional and friendly guides through the land of Storyline showed us the key elements that make this method unique and last but not least indeed – appropriate for the needs of our school. We could see that as a teacher one can offer children wide scale of differentiated tasks that do not limit one another, meaning that each child developing their own story is free in building up the language that is right then, right there necessary and needed. Still, though, following the teacher’s “line” or syllabus and aim. That was exactly what we as teachers of children of different needs and ages in one and the same class found attractive and definitely worth trying. The following year we did our best to involve our pupils into our “Storyline experiment.” Introducing the playfulness of Storyline did prove that as soon as one gets the chance to gen into the story they fall in love with it. However, it is equally important to mention that thanks to the opportunity to actually play the children or pupils understood and accepted the need to learn grammar structures and rules without expressing annoyed sighing and rolling their eyes. Besides applying it in our school we have so far run two workshops to introduce Storyline to homeschoolers and their parents registered with our school. Not only did children enjoy it but also the parents appreciated this method as an inspiration for how they might approach teaching a second language while homeschooling. In the summer of 2015 we made our second trip to the Strathclyde University in Glasgow where we took part in two other courses aimed at the use of Storyline built up on Storytelling and the application of the method in inclusive classes. Having been to all these three courses we have a lot of material, inspiration and motivation to go on teaching with the help of this wonderful approach but more importantly learning how to work with Storyline with respect to its potential and the quality in which it has been presented to us. 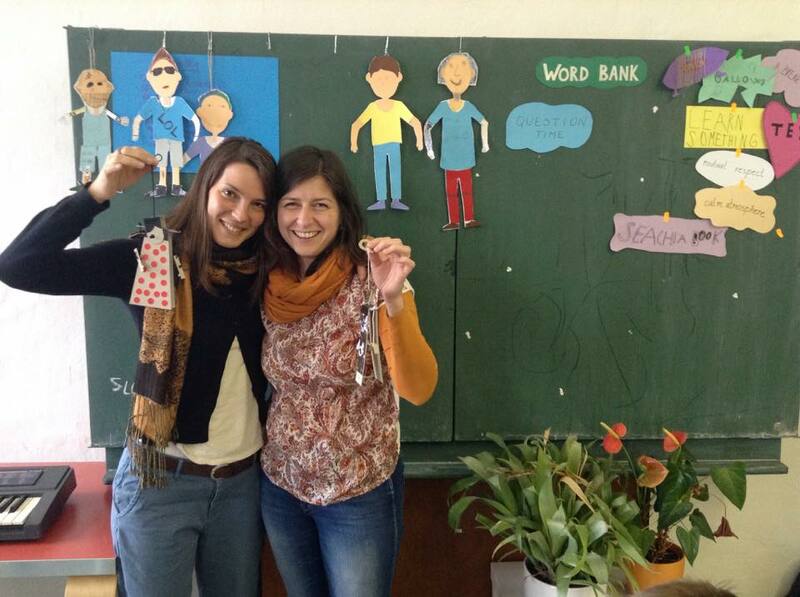 Therefore we are going to host a Storyline workshop for Czech teachers who will have the chance to get introduced to the core of Storyline directly by Gisela Ehlers and Hannelore Tait themselves.